The call of the Rag & Bone man around the towns and cities was a familiar sound in the 1950s but by the time popular BBC series Steptoe & Son was screened in 1965, there were far fewer operating. 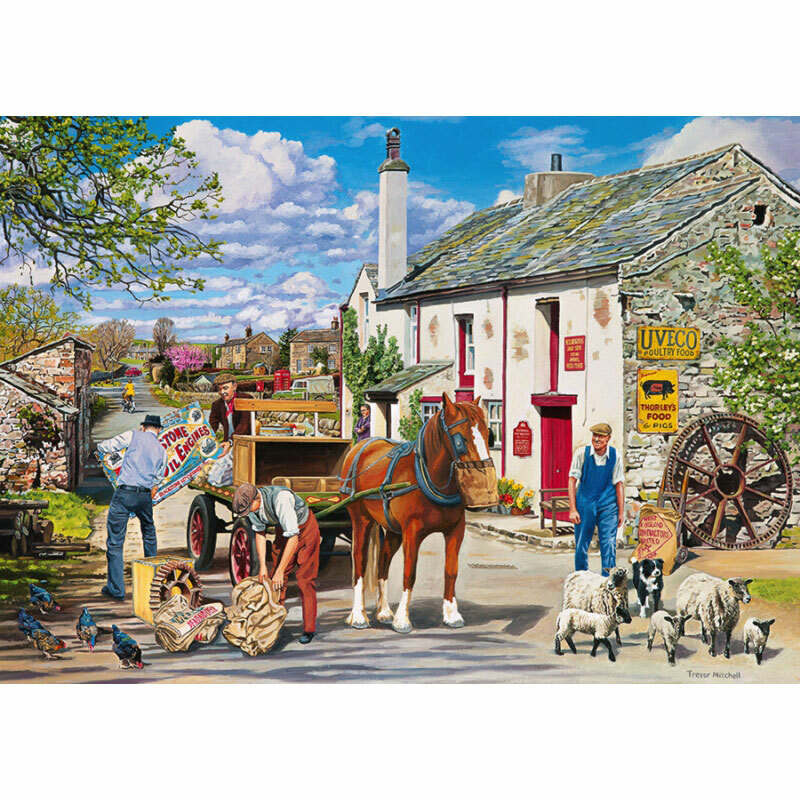 A typical day’s ‘take’ would have included rags, furs, shoes, car parts, furniture and in fact almost anything that was being thrown out. If the children were lucky, some Rag & Bone men would traditionally offer a goldfish or two in a water-filled plastic bag. 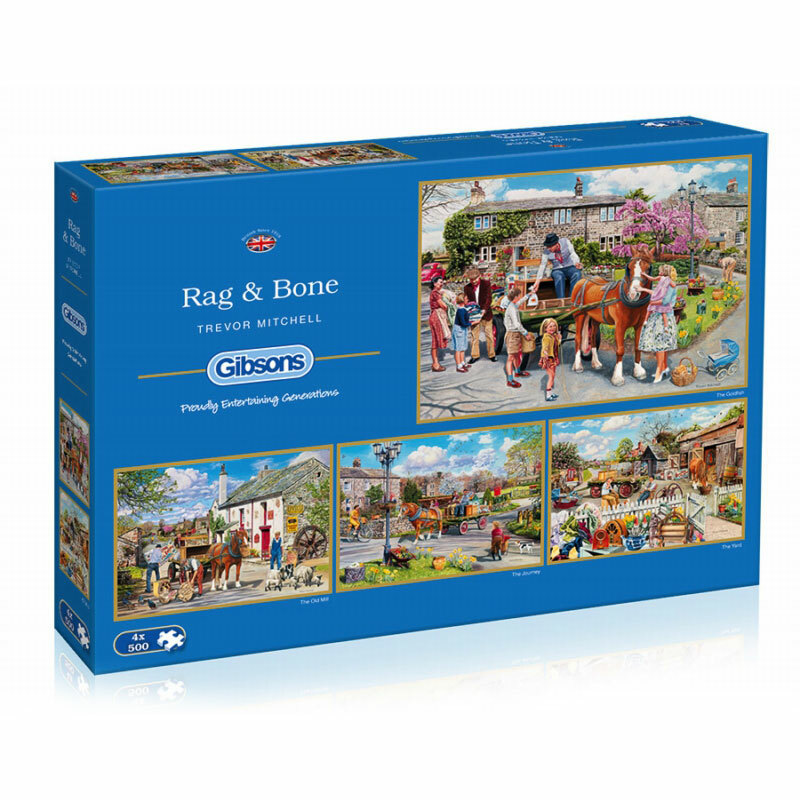 Gibsons produce Britain’s favourite puzzles on premium quality board. 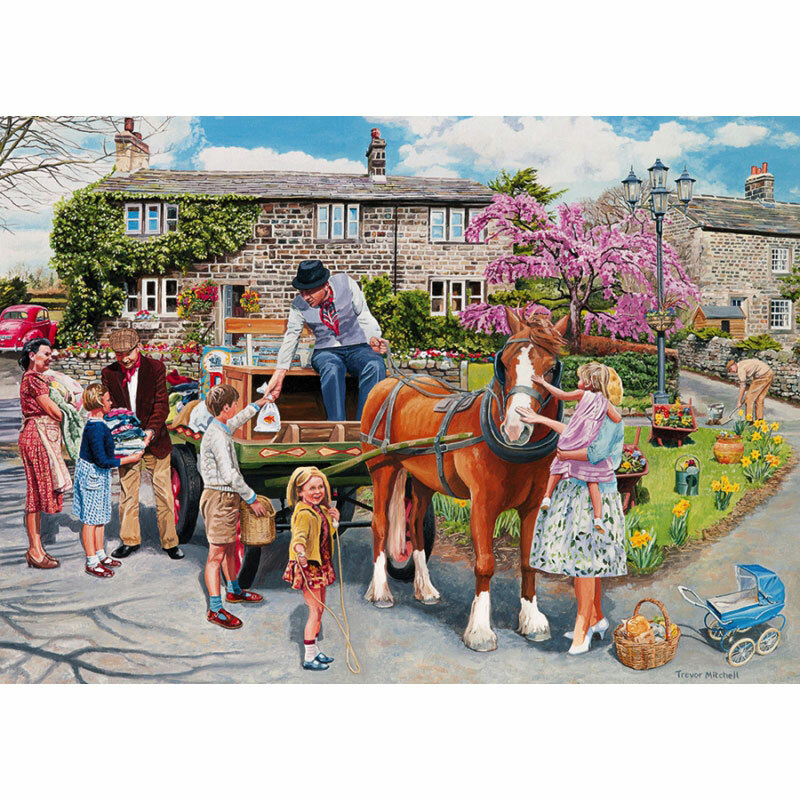 A British, family company, we offer the widest selection of puzzles in the UK across a variety of themes and piece counts. 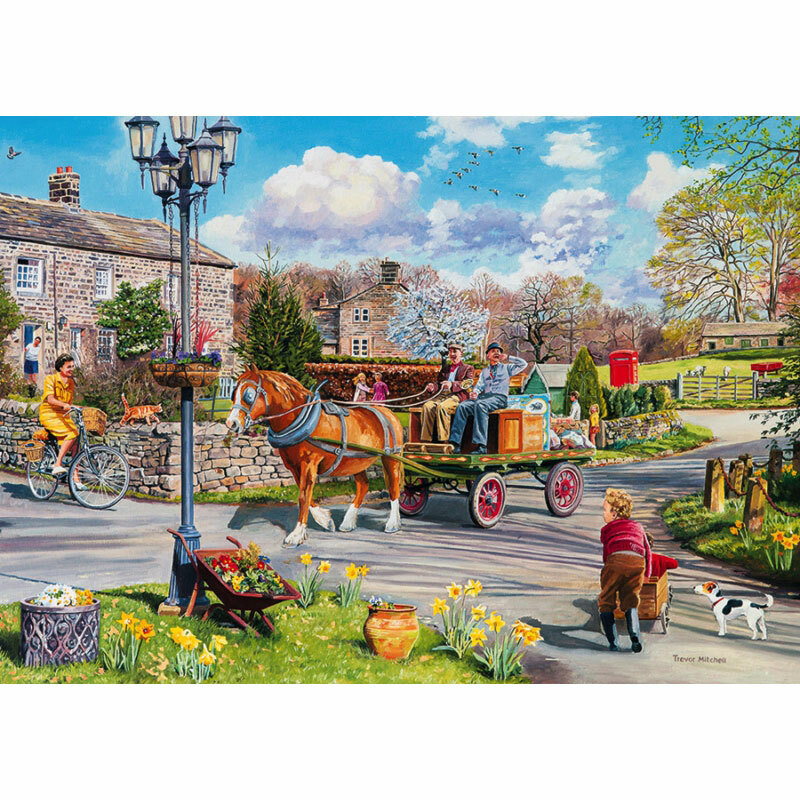 This set presents the puzzler with four 500 piece jigsaws portraying a selection of unique scenes.